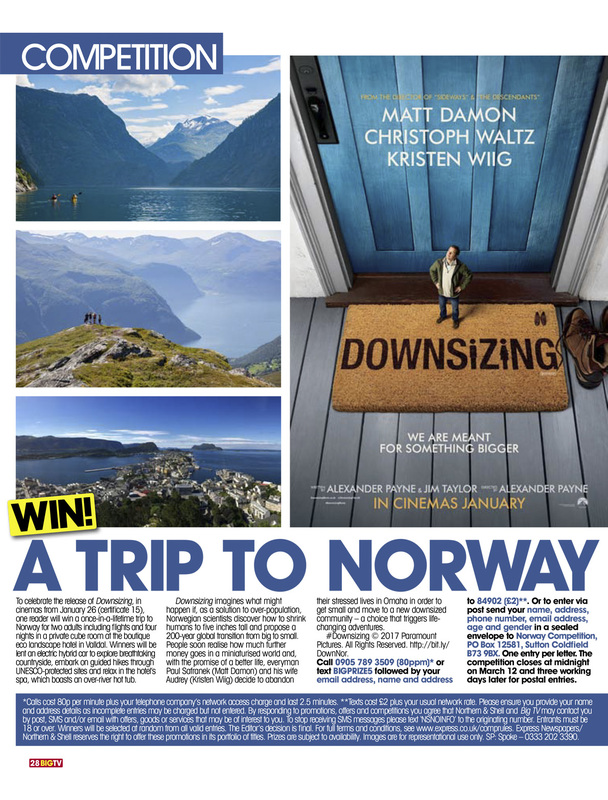 For this Paramount Pictures campaign, Strike secured a luxury four night prize package to Norway, where many of the scenes in Downsizing were filmed. 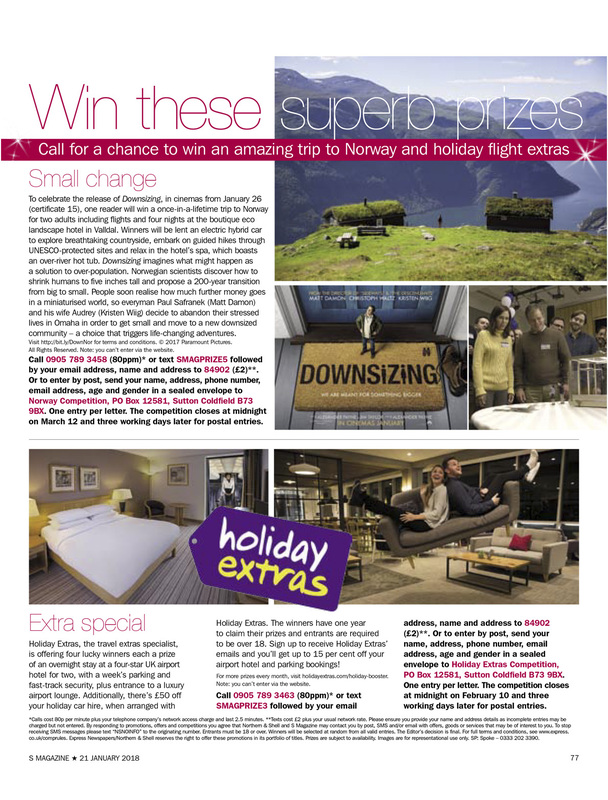 The prize included flights and just under a week in the boutique eco landscape hotel in Valldal. Winners were able to borrow an electric hybrid car to explore the breath-taking countryside and relax in the over river hot tub. Strike worked with Northern and Shell to secure coverage in six publications including TV Life, Daily Express, S Mag and more. 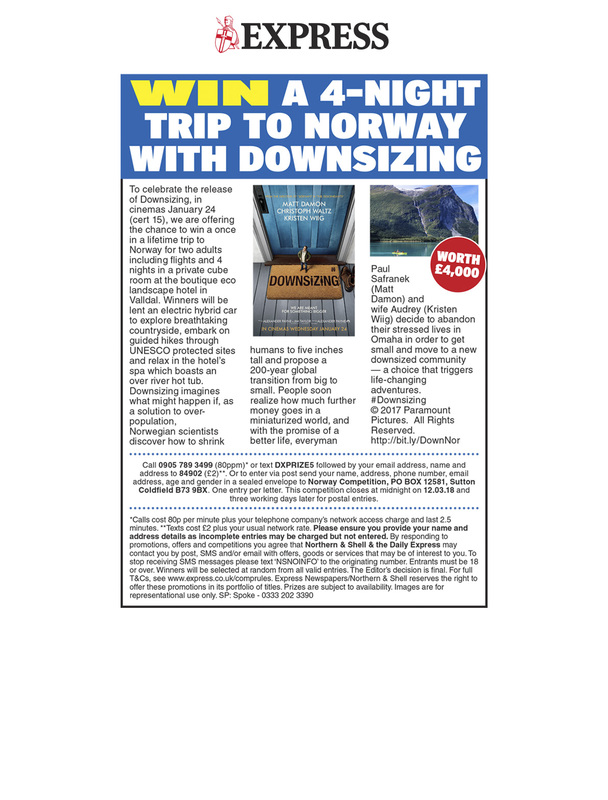 Norwegian scientists discover how to shrink humans to five inches tall and propose a 200-year global transition from big to small. People soon realize how much further money goes in a miniaturized world, and with the promise of a better life, everyman Paul Safranek (Matt Damon) and wife Audrey (Kristen Wiig) decide to abandon their stressed lives in Omaha in order to get small and move to a new downsized community — a choice that triggers life-changing adventures.